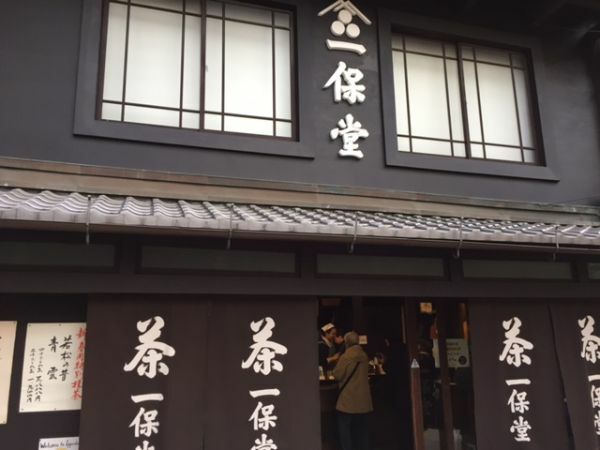 Where is the best place to buy tea in Kyoto? Many guests coming to “Tea Ceremony Koto” ask me the recommendation to get the powdered green tea in Kyoto. 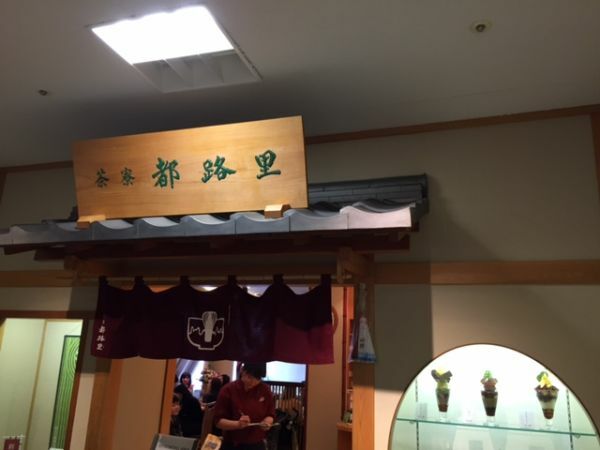 If you go to the department stores, you can buy high qualified tea for sure, but I think that visiting the tea specialty stores in Kyoto they not only sell tea, but also have offer original cafes, restaurants and tea ceremony classes at the same time might be interesting for you. You will be able to enjoy many kinds of Japanese tea as Matcha and Gyokuro, including sesonal flavors at the shop. Ippodo has been providing the highest quality Japanese green tea for nearly 3 centuries. Tea Ceremony Koto loves to get powdered green tea from this shop. Although we can bu the tea produced by Ippodo at the department stores as Takashimaya, Daimaru, their main store in Teramachi nijyo is worth visiting. 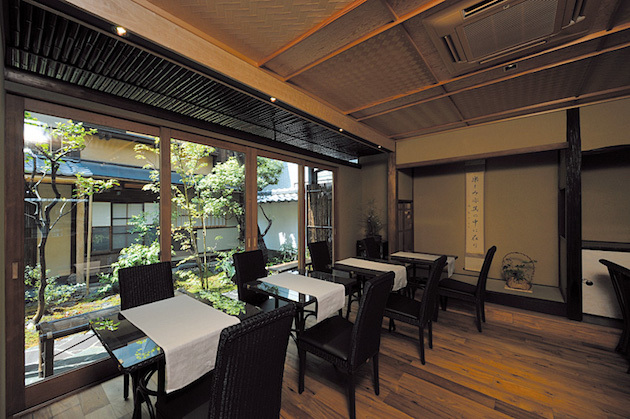 I’m sure you will be able to feel the atmosphere of traditional house in Kyoto. They have a cafe “Kaboku”, where we can try varieties of Japanese tea, matcha, gyokuro, and sencha. They also have classes to teach how to make these delicious teas at home. Closed during New Year’s holidays. They have started their work in the Genroku period (1688-1704), a man by the name of Kyujiro Koyama began the cultivation and production of tea in Ogura,Uji in Kyoto. So, their main store is in Uji, the most famous tea field for powdere green in Japan. 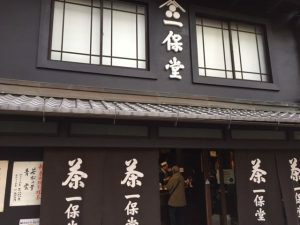 They also have a cafe called “Motoan” where we can have pure Japanese tea as well as Matcha ice cream and cakes.The architect who designed “Tea Ceremony Koto” had designed “Motoan” as well. Gion Tsujiri has started manufacturing and sale Uji green tea in 1860 and this is the begining of their work. They offer western style parfaits using Matcha in a cafe as well as pure teas. Their Matcha ice cream and parfaits are very popular among Japanese girls and we can see long line with them in front of the entrance at the main store in Gion. 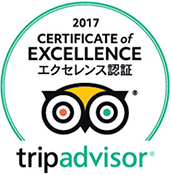 They also have cafe shops at Isetan department at Kyoto station and one near Kodaiji temple. All stores are popular, but I guess one close to Kodaiji temple is the most easier to find vacant seats. The main building is on Shijo Street, the downtown area in Kyoto. They have a French Cuisine restaurant using Matcha on the 3rd floor at the main building,and the 2nd floor with sweet and light meal. You will be most welcomed and served with cold-water-brewed Kabusecha, a premium Japanese tea on the 2nd floor. 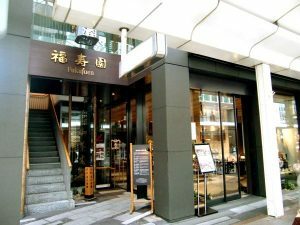 Moreover, at the 1st floor, they offer Gyokuro we call “Kinkaku” which is good for souvenirs!